In my last post I mentioned how great it was to discover that Ziploc bags worked really well at protecting my phone while patching, sanding and painting walls. Do you want to see what I patched, sanded and painted? Good, because I want to show you. But first I need to show you the “before” pictures. It always makes a difference and then you’re more likely to be awed by the “after” pictures. If I don’t show the “before” pictures, then looking at the “after” pictures will definitely not be that amazing. I was working on our master bedroom. And I use the term ‘master bedroom’ lightly, very lightly. The master bedroom in the houses around here are anything but impressive. They’re just a slightly larger version of the normal bedrooms. In fact, one of our bedrooms downstairs is bigger than ours. 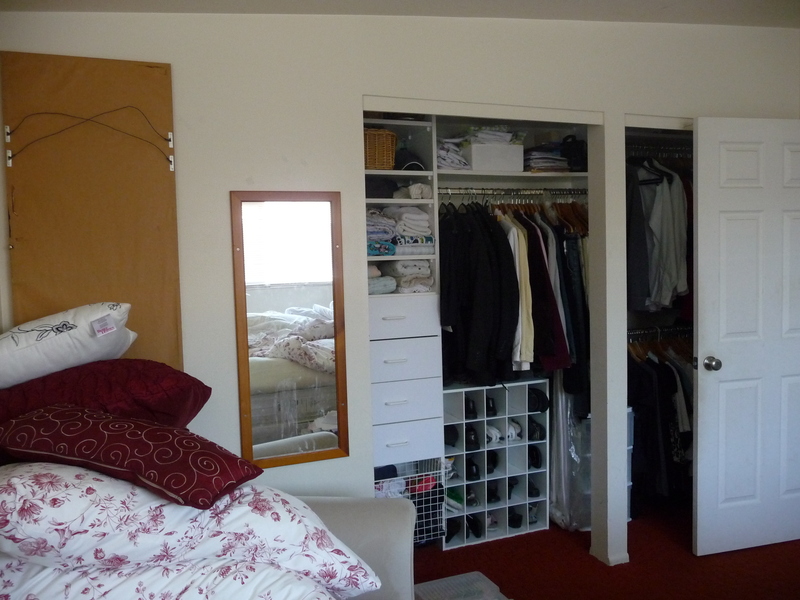 We don’t have a huge room, walk-in closet or attached bathroom. 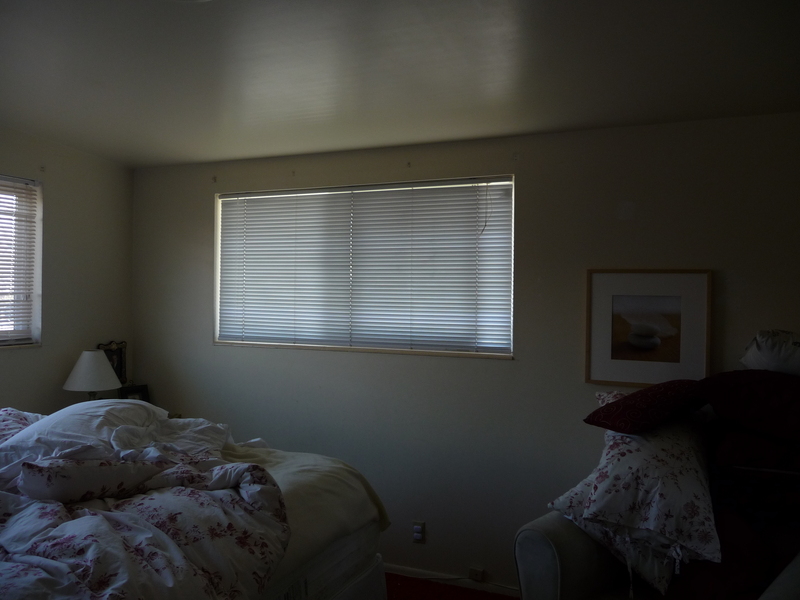 In fact, the only reason we even call it a master bedroom is because that’s where my husband and I sleep. And we are the masters of our domains, are we not? Drab. Boring. Yuck. Messy. Mismatched in a not-so-good way. And take a closer look at the wall. Those spots where the wall looks darker are actually sections of dried on duct tape residue. No joke. That was fun to scrape off, let me tell you. Then there’s plenty of nail holes where we’ve hung pictures, taken them down and never put anything else up there. The tops of the dressers have way too much going on. Way too much. Some of that stuff shouldn’t even be there. And the boxes next to them are filled with things to give away. They’ve got to go! The green paint swatches are color ideas for this room. (It’s not even close to the color I eventually went with). The paint that’s currently on the walls is just blah. Here’s another picture. 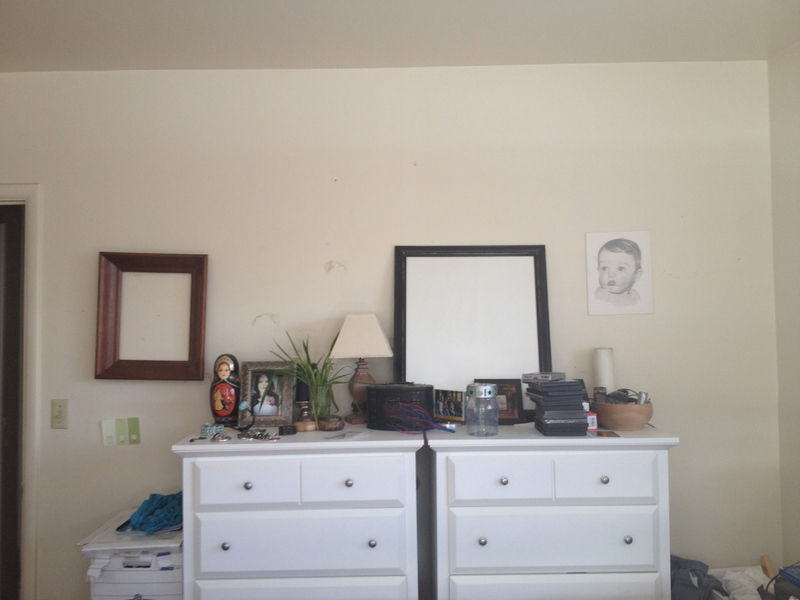 In this one I have another frame on the wall and different things on top of the dressers. 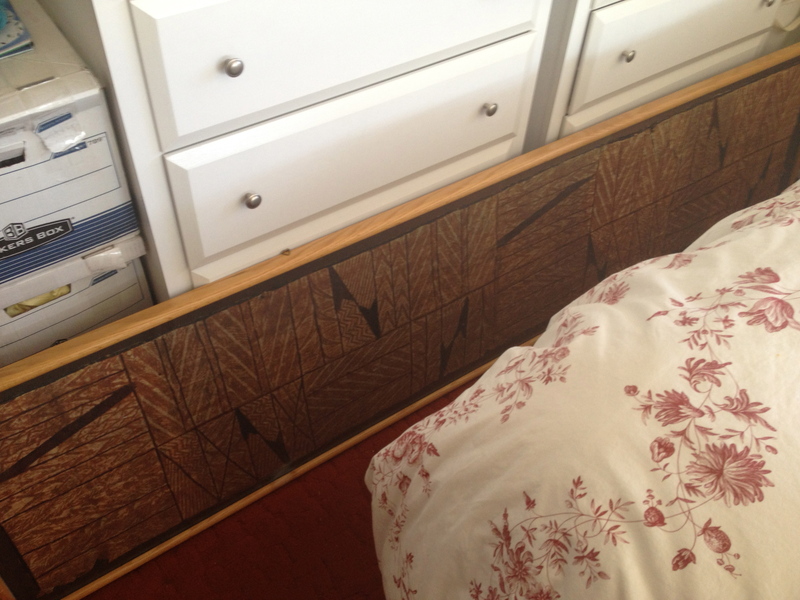 This is a framed tapa cloth Curtis inherited from his grandmother when she passed away. We’ve had it for twelve years. Never been hung. Never been displayed properly. It’s just been hanging out (excuse the pun) in our bedroom this entire time. What’s worse is that it doesn’t even match our style. Neither of us have ever been to any islands in the Pacific Ocean. And the thing is huge. So tall. Our ceilings are low ceilings. It’s designed to hang vertically and we just don’t have the house for it. Nevertheless, I was still going to try and incorporate it into the design of our master bedroom, until one of Curtis’ brothers said he’d take it. Perfect! Curtis’ brother lived in Fiji for a couple of years so it was definitely a better fit for him than for us. Oh – and did you catch a glimpse of our awesome carpet?! Love it. 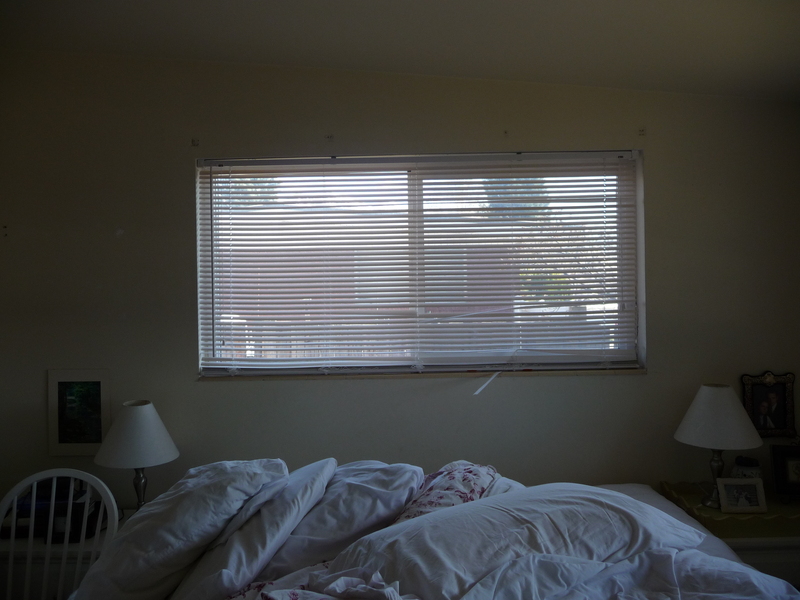 These blinds are broken and bent thanks to Ian, our 3 year old. They’re even custom-damaged by him – he grabbed a handful of blinds and bit right down on them – hard. They’re plastic, not metal, so we have a perfect indentation of Ian’s teeth, should we ever need to identify him by his dental records! More of the same. Drab. Boring. Ugly frame. Oversized chair. 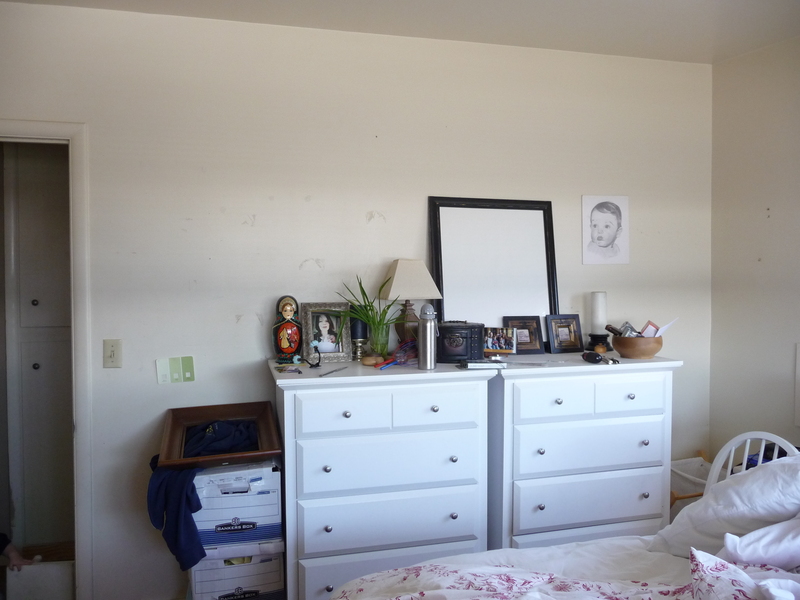 This is one of my favorite “before” pictures because this is what I get to look at when I’m sitting in our bed. Yep – this is my peaceful, relaxing view. Don’t you just love it? Aren’t you totally jealous? See the tall frame with the wires on the back? That’s the tapa cloth. The glass is broken so we have it facing the wall so the kids won’t cut themselves on the glass. The mirror? Well, it has got to go. The placement is awkward and you can’t see your feet. And we all know how important it is to be able to see your feet when you’re planning an outfit. Then there’s the closet. There’s nothing covering it. At least it’s pretty organized, but still – not a peaceful sight. Here’s what Curtis gets to look at when he’s sitting in bed. He doesn’t really care (he’s a guy), but it totally bugs me. I don’t want to be staring into my closet, thank you very much. It’s not restful at all. And the carpet. Oh. My. Word. It looks red in this picture, but in reality, it’s more like the color in the picture below. 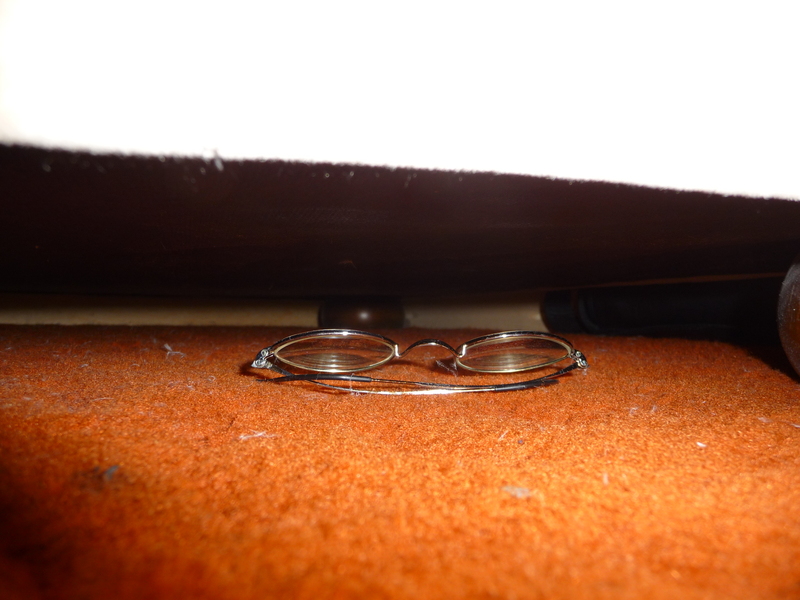 Ignore the glasses and just focus on the lovely carpet. Bet you all wish you had this in your master bedroom. So that’s the tour of our master bedroom before I decided to make some changes to it. This is what we’ve lived with since we bought our house back in 1998. We’ve done absolutely nothing to this room. Nada. Zip. Zero. Zilch. It needed some serious help. 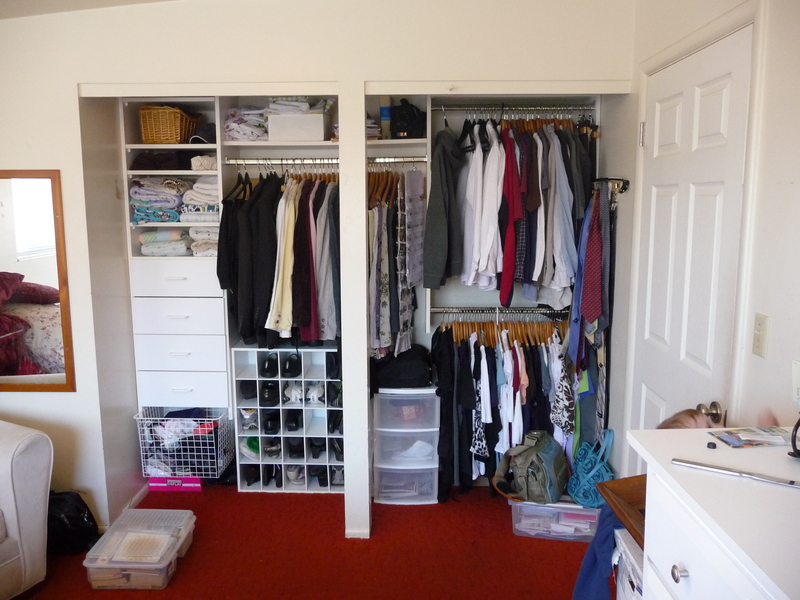 This entry was posted in Cleaning, Organizing and tagged clean, closet, disorganized, master bedroom, messy, organized, painting, patching, sanding, simple. Bookmark the permalink.